You won’t want to miss this one. One of the lowest priced 2BR/2BA plus Den end unit Abbey model condos in Heritage Oaks Country Club. The owner is ready to move on so the lucky buyer will get the benefit of the most desirable location overlooking the 14th green. This 2nd floor unit also features cathedral ceilings and new stainless steel appliances. This unit sells TURNKEY FURNISHED so you may start enjoying the Heritage Oaks lifestyle immediately. The owner is also paying the one-time $4,000 capital contribution due at closing and to top it off this home comes with a 1 year home warranty. Don’t let all this value pass you by. Heritage Oaks is located just East of I-75 and a quick 25-minute drive to the No. 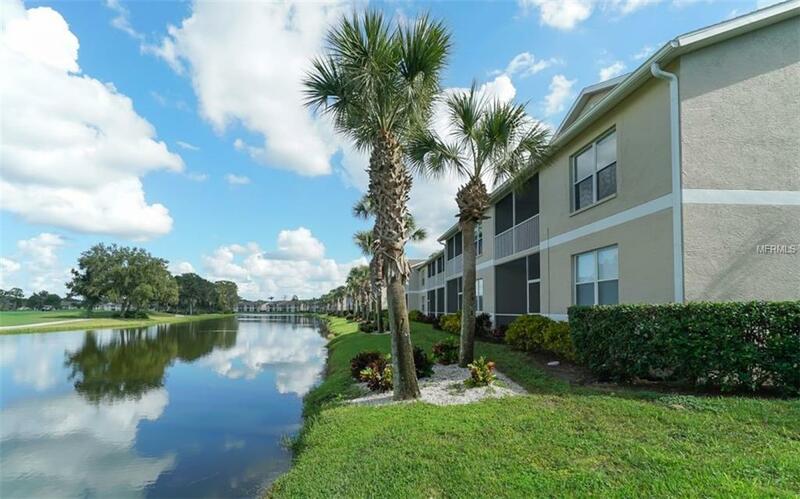 1 Beach of the country on Siesta Key, Heritage Oaks Golf & Country Club is a private, gated and “bundled” community offering 24-hour Security and a variety of amenities. Which include the 2017 Ron Garl-designed 18 Hole Golf Course, a recently renovated golf shop, 5 heated swimming Pools, 4 lighted, Har-Tru Tennis Courts and a new fitness center with high-end gym equipment and daily fitness classes. The beautiful clubhouse is one of Sarasota’s finest and hosts many social events. It also offers Fine Dining and is home to the “19th Hole” Bar & Lounge.